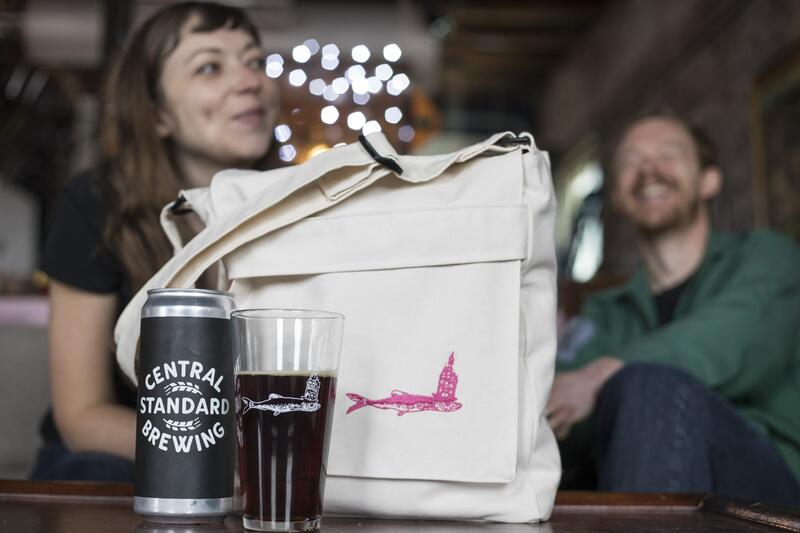 Carry anything, including a custom-designed glass and microbrew can, with the Fisch Haus Art Show Survival Kit. 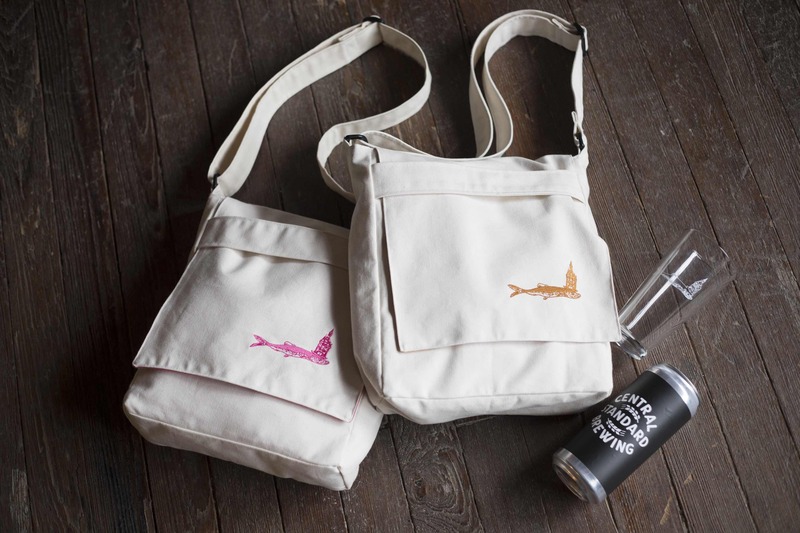 This three-piece collection includes a hand-made bag, a 20 oz pint glass (a real pint!) printed with the Fisch Haus logo, and a coupon for a can of Wichita microbrewery superstars Central Standard Brewing beer. Items may be purchased separately from us as well: check out the list below and email us at info@fischhaus.com to order. 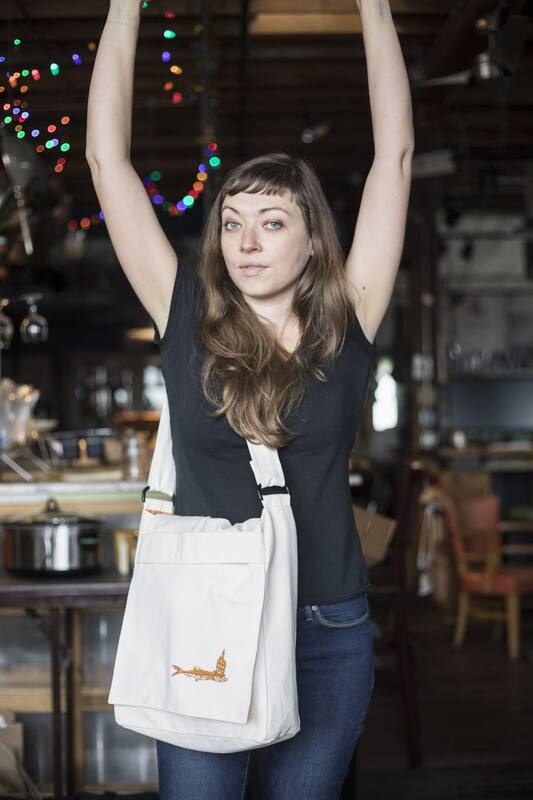 The fully-lined raw canvas bag, designed at Fisch Haus and sewn by local seamstress Valerie Young, is a handy 11” high x 13” wide x 4” deep, and features two inner loops to keep your glass and beer safe, and an exterior loop to make sure all your stuff stays inside. 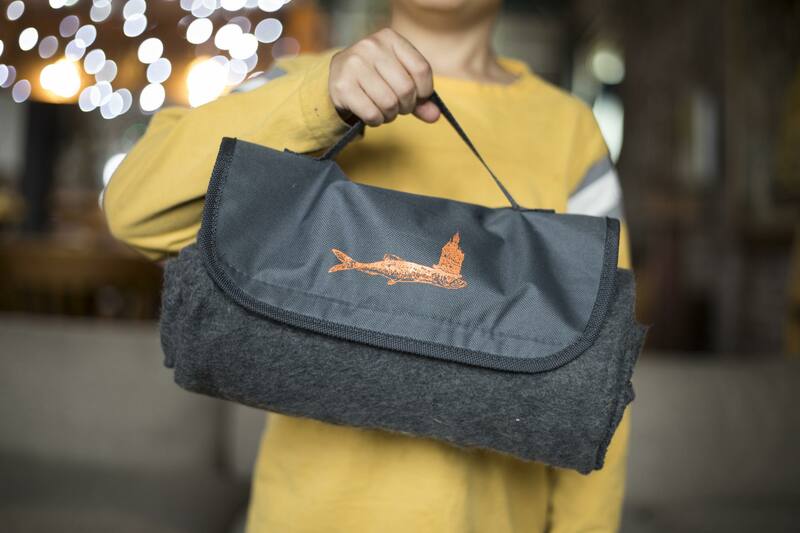 The logo is embroidered, and the adjustable strap, secured with solid plastic hardware, is constructed from the same canvas as the bag. The off-white bags come in gold (Carhart yellow, actually) and pink lining/logo, but the pink bags are limited to an edition of 10. Our custom-monogrammed glass holds a full British pint and is dishwasher safe. 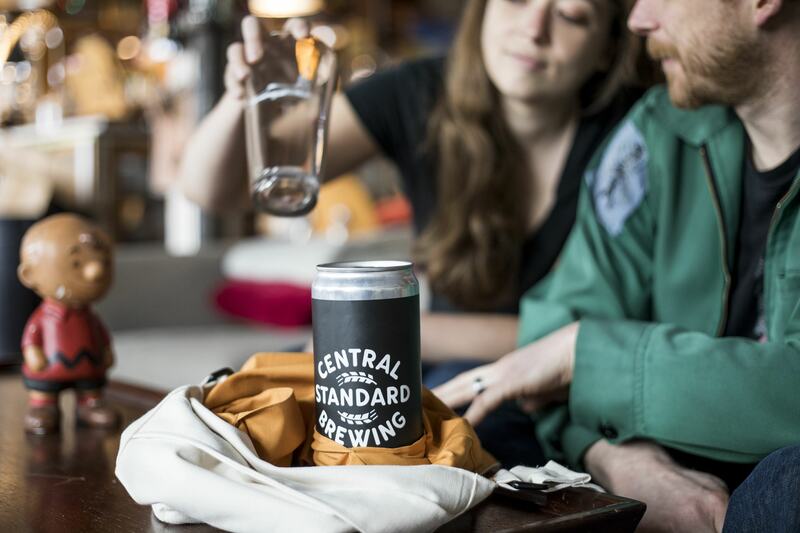 The Central Standard Brewing beer coupon may be redeemed in person at the microbrewery in Wichita, Kansas. Note that you must present a valid ID in order to collect your can. Beer choices are limited to the in-house selections on tap the day you go in. Please let us know if you do not wish to receive this item; however, as this is a complementary add-on, the kit price will stay the same. 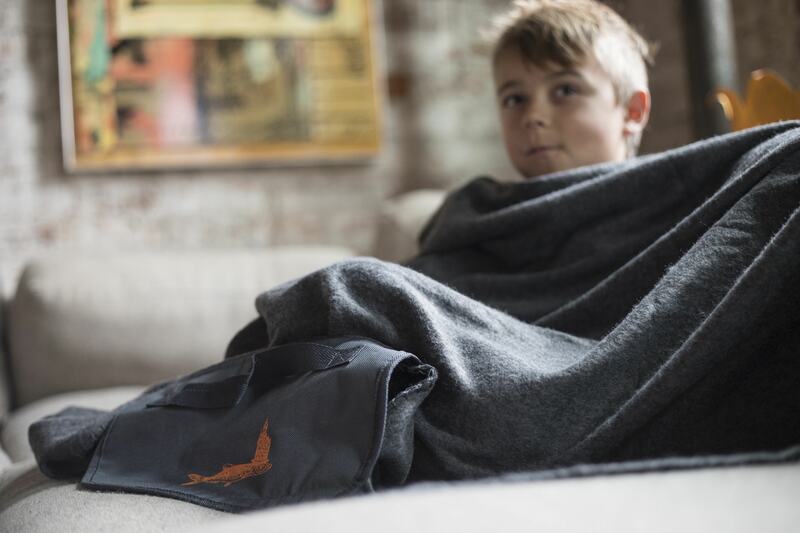 It can get a bit chilly at the Fisch Haus in the winter time, so if you'd like to complete your survival kit with a Fisch Haus blanket (it fits perfectly between the beer and glass loops), we'll throw it in for an extra $20, ($5 off). All proceeds from these sales will be directed to the not-for-profit arm of the Fisch Haus, Fisch Bowl: a 501(c)3 organization that presents almost all of the events at Fisch Haus. So, pick up an art show survival kit for yourself and a friend, and help us continue to produce a wide range of fine art exhibitions, theatre, music, dance, performance art, community events, readings, festivals, and many other non-categorize-able things, all of which are offered free of charge or by a suggested donation. If you'd like more information about the relationship between Fisch Haus and Fisch Bowl, please see ABOUT US. Note that all merchandise, except the beer, may be picked up at the Fisch Haus if you are local and don't want to pay for shipping. All photography by Gavin Peters. 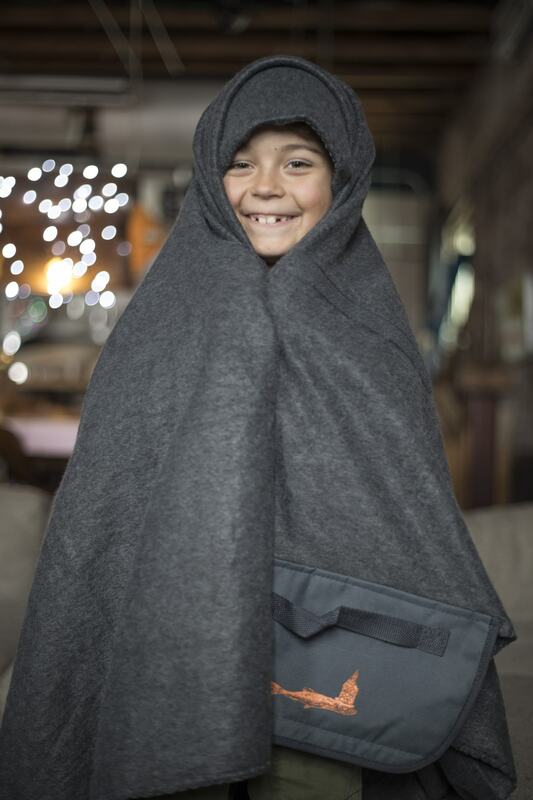 Thanks so much to our gorgeous supermodels, Georgia and Torin Andersen!